Sparkling wine with bubbles does not automatically become champagne. The name is exclusively reserved for sparkling wines originating from the namesake French region. Sparkling wine with bubbles does not automatically become champagne. The name is exclusively reserved for sparkling wines originating from the namesake French region. Only the perfect combination of low average annual temperature, the bedrock saturated with sea fossils ready to absorb the maximum amount of solar heat merging with light and well-ventilated soil make the perfect conditions to grow grapes. The grapes grown exclusively in this region are processed to produce the best quality champagne, out of which Champagne G. H. Mumm is undoubtedly the best, a Rolls-Royce of champagnes, if you will. It takes as much as 1.2 Kg of grapes to produce one single bottle of this exquisite drink. Every bottle of Champagne boasts as many as 250 million bubbles – no wonder that the act of popping it and spraying it looks so impressive. If you enjoy watching a bottle of champagne being sprayed, you are definitely going to love it being poured into a glass – the bubbles look just as impressive. Needless to say, everyday winners also call for appropriate celebration, they can’t go unnoticed! Go ahead and celebrate those moments with Champagne Mumm, like formula winners; the brand ambassador, David Guetta or just like everyone else who is not afraid of winning. 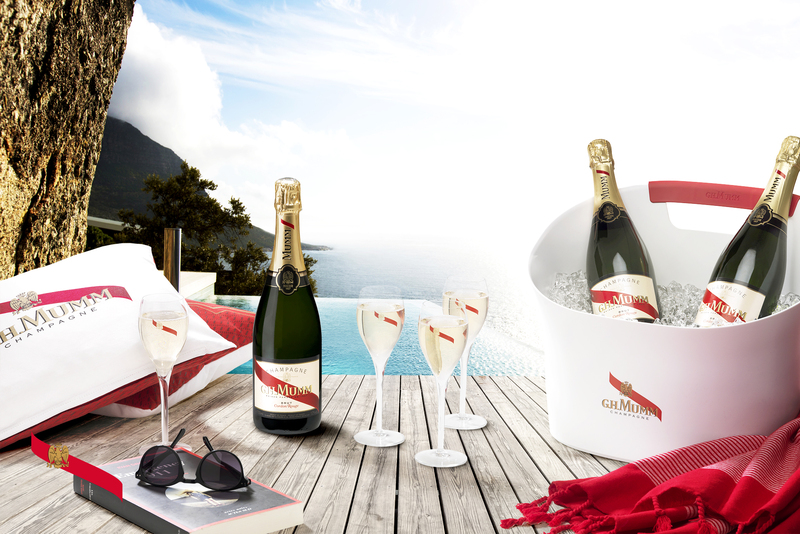 The original G. H. Mumm Champagne can be enjoyed in more than 200 bars and restaurants all over Slovakia, but you don‘t necessarily have to leave your comfort zone – having a bottle right at your hand at home is definitely an option, too. Indulge in three available variants – G.H. Mumm Cordon Rouge, G.H. Mumm Le Demi Sec and G.H. Mumm Le Rosé. Cordon Rouge takes pride in its intensified taste of peaches and apricots, the mildly sweet Le Demi Sec possesses golden and ambery reflections with a scent of dried fruits, the salmon-colored Le Rosé on the other hand offers a mildly fresh taste and aroma of pink grapefruits and forest fruits. All of them are available in a typical, chic bottle wearing a red ribbon; a clear mark of excellence, only the original Champagne is reserved to have. There is absolutely no need to limit yourself to an ordinary sparkling wine when the original French Champagne is readily available to celebrate those outstanding moments in your life. Brace yourself for an unforgettable experience. All you have to do is go ahead and choose the taste that best suits the moment.